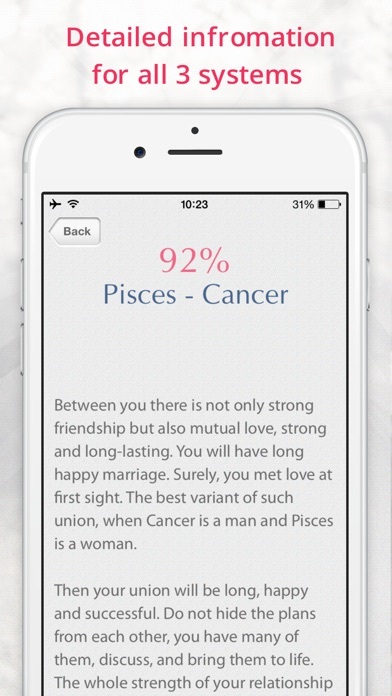 Find out compatibility with your partner in seconds! You'll learn a lot about your relationship or friendship. The unique technique allows to obtain the result of compatibility between two partners with the highest possible accuracy. Available systems: - Compatibility by names - Compatibility by zodiac sign - Chinese horoscope compatibility Opportunity to share your results between all your your friends via: e-mail, Facebook, Twitter Don't waste your time, look for your true ideal! I try it with every person I know and it's super fun and pretty accurate for the most part too! It's a very detailed app and covers all areas. Not as pretty with graphics but I do highly recommend this app! It's a cute app but it's definitely from a different language. You can sorta make out the meaning but the English translation is bad. There are also Russian ads that pops up in the beginning. 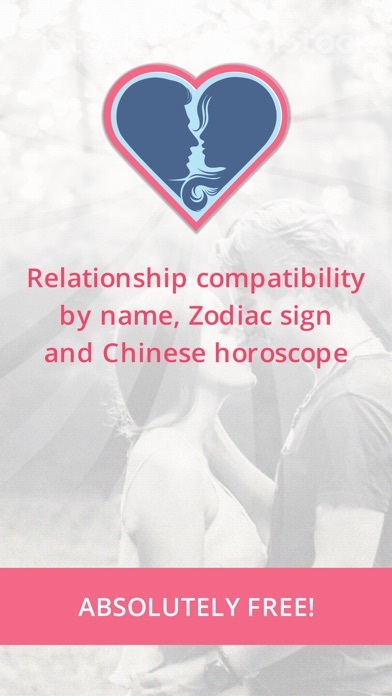 Too bad since they give you Chinese horoscope compatibility and western astrology comparability. I paid for this.. Now it's free???! Gah. Wasted my money..